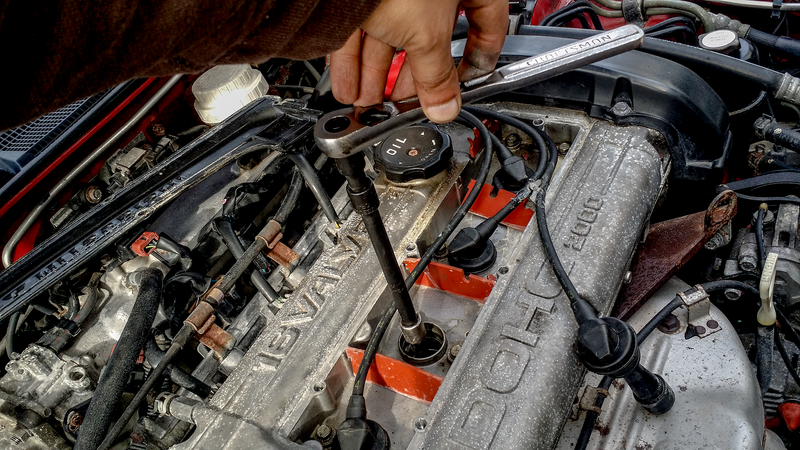 Your engine's spark plugs are absolutely vital to the longevity and clean running of your engine. That's why they need to be changed regularly, and properly. Here's how to do that without making a mess of things. Simply put, spark plugs ignite the fuel and air mixture in the cylinder by having electrons arc a gap at the end of the plug, known as the electrode. The resulting explosion creates pressure that is translated into crankshaft motion, and that is translated into motion via the drivetrain. Without spark plugs, a gasoline engine simply wouldn't go anywhere, so it's an absolutely vital component to the running of your car's engine. However, If your car runs on diesel fuel, your engine doesn't have spark plugs at all, and simply relies on compression for combustion. When And Why Do My Spark Plugs Need To Be Changed? What Kind Of Spark Plug Should I Get? Spark plugs come in may varieties, to suit your needs. If your car is stock, it's best to go with what the manufacturer recommends, as this will, more often than not, give you the most efficient burn possible. If your car isn't stock and you have forced induction power adders such as an aftermarket turbocharger or supercharger, it's good to go with one or two steps colder plugs, which does not mean that it has a lesser spark, just that it has a lower heat range in which it's most efficient. If you have a modified engine that's naturally aspirated (no turbo or supercharger), it's better to go with a hotter plug, as the efficient heat range shifts upwards. While there may be a small difference in performance as far as electrode materials go, the big difference is longevity. As a rule of thumb, the more you pay for a quality spark plug, the longer you can expect it to last, the shortest being copper, and the longest being iridium. As spark plugs are relatively inexpensive, try to get the best ones your bank account can afford. Do I Need To Gap My Spark Plugs? How Do I Change My Spark Plugs?